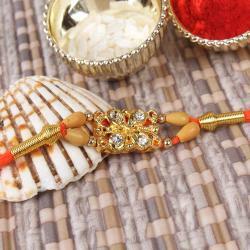 This exclusive golden rakhi is adorned with crystal bead rakhi threads. 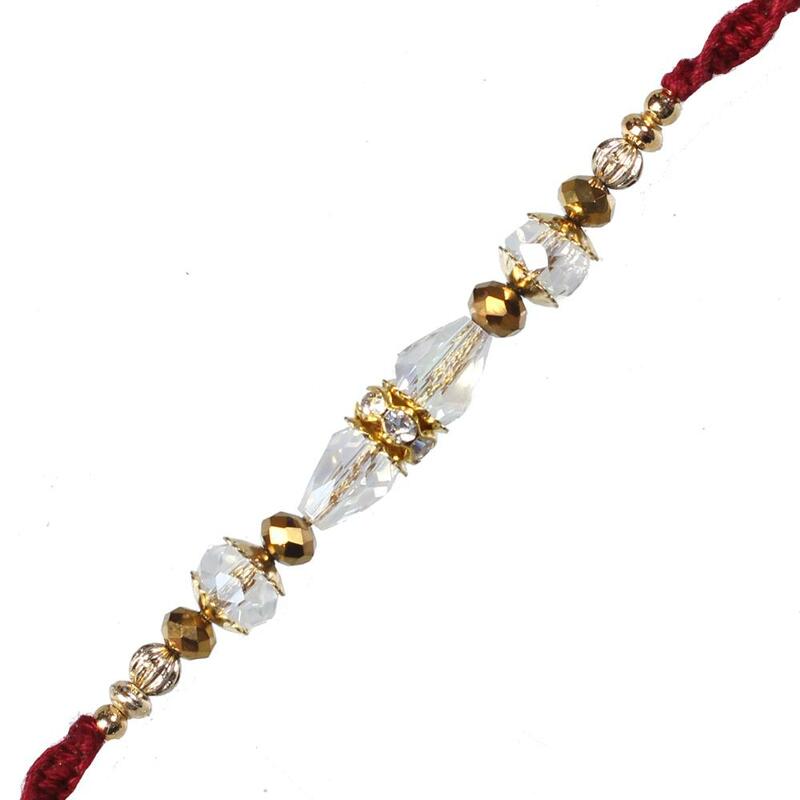 The dori of the rakhi is made of small silver golden beads, which is also adorned. 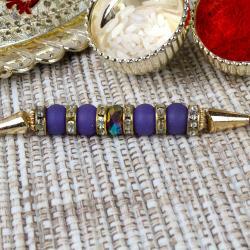 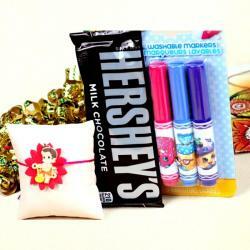 So send this rakhi to your brother and make this festival of rakhi as special as your relationship.